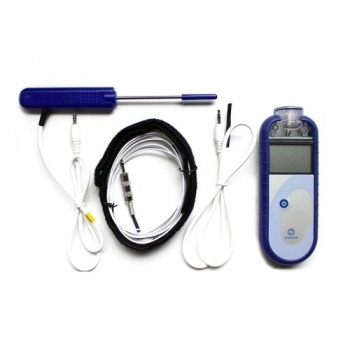 Also a Special Pipe Probe with Velcro Strap and a 2-point (0°C and 100°C) UKAS Calibration Certificate. Supplied with Air Probe, Penetration Probe and Special Pipe Probe. 2-point (0°C and 100°C) UKAS Calibration Certificate.